The power of Ares awaken at the call of salvation. Titan the Demon shall be found and eliminated. 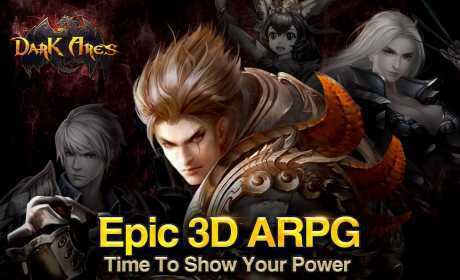 Join the EPIC 3D ARPG Dark Ares with players worldwide! Wage your power in front of the world! 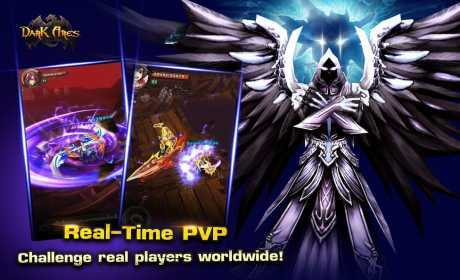 – Real time battle and real skills! Challenge real players worldwide on multiplayer PVP, show off your battle skills– all in real-time. – Vibrant graphics and immersive storyline! With vibrant 3D effect and exquisite design of characters, you’ll experience the epic adventure through Heaven, Underworld and Mortal Realm as the descendant of Ares. – 4 different classes to play! Berserker, Warlock, Archer, and Assassin – Choose a class and create your own character! Find your Miss/Mr. Right in game? An epic wedding with exquisite ring, luxurious wedding dress would be the best gift ever! Show off your love to the world! Various wings and outfits at your choice. You are different with customized glowing wings and equipment! Every day is different with non-stopping events to join! You’ll never be bored in the legendary world of Dark Ares.